AcousTech, Inc., was founded in 1999 by former employees of ITT Corporation in Fort Wayne, Indiana. Today, the company is recognized as a leading niche provider of acoustic micro imaging and x-ray radiography for the inspection of microelectronic devices and components. backed by the comprehensive experience and knowledge base of our staff relative to the evaluation of microelectronic components. Our president, Jon Roth, has more than 20 years of semiconductor experience to his credit, which includes a proven track record in component failure analysis. 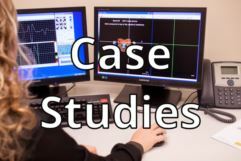 Our staff has published numerous articles and technical papers as well as given original presentations on acoustic micro imaging to a host of companies and at various industry conferences. While our customers come from a broad spectrum of industries, we’ve been involved extensively in the application of commercial electronics to defense, aerospace, and other high-reliability systems. All of our customers rely on us for customized testing, competitive pricing, and fast turnaround as well as quality imaging, accurate analysis, and detailed but focused reporting. Perhaps more important, though, is the trust they place in us because of the partnerships we form with them. We seek to foster a truly collaborative working process with every client. This does more than keep the partnership pleasant. It also ensures that we fully understand our clients’ needs, they understand our methodology, and all of their testing requirements are met. If you’d like to learn more about what partnering with us can do for you, contact AcousTech. 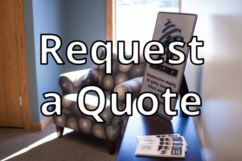 Request a Quote, and the specific benefits of our services will be immediately apparent.